This fest, organised by the libraries of the city of Paris, deals with the voice in diverse aspects. 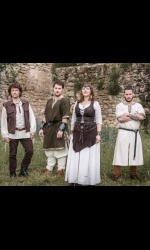 Fenrir will close the festival with this free concert in the hall of the " Hélène Berr" library. 8 December 2018, 6h-7h30 p.m.